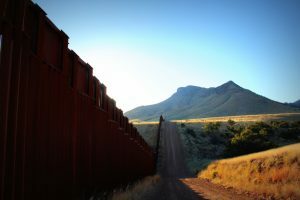 The group states: “Congressional leaders in both parties agreed Sunday to include $146 million in the federal budget for the construction of new walls along the U.S.-Mexico border. The replacement of vehicle barriers with pedestrian barriers will step up border militarization, continue to harm local communities, and have devastating effects on wildlife, blocking the movement of jaguars, ocelots and other animals. The budget agreement also includes $77 million for new border roads that will provide the needed infrastructure to build future segments of the wall.